Career Services, in collaboration with the Office of Campus Life, collects professional clothing for students and alumni to use for career fairs, interviews, and other professional events. Students will be able to pick up items free of cost at our Clothing Closet to dress for success for the upcoming career fair. Browse through ties, shoes, blouses, pants, and more at the Clothing Closet and take them with you for this week's industry career fair. We are still taking donations of clean professional clothing as well. You can drop off professional clothing donations at the clothing closet (clean, professional attire only please), or at the Career Services or OCL office. Don't forget to prepare for the fair. See who's coming and save your favorites here! Professional dress is required for entry to our campus-wide Career Fairs. Jeans, t-shirts, casual shoes (sneakers), shorts, and hats* will not be permitted. 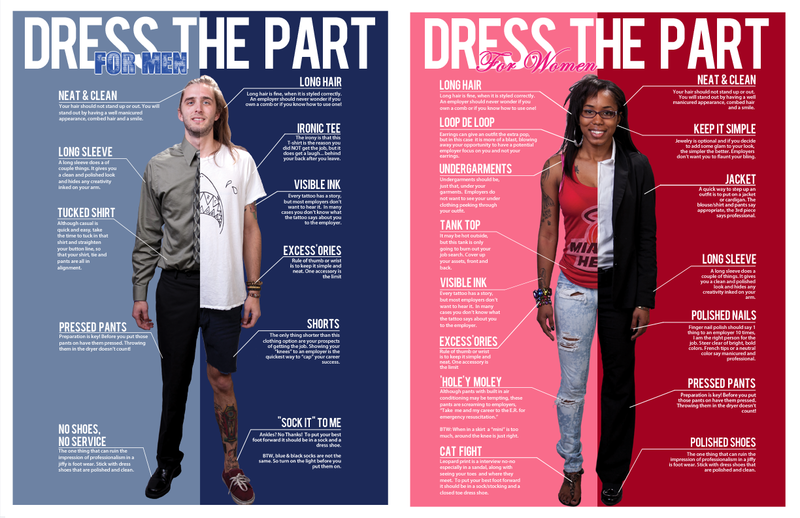 See the Illinois Tech Career Fair Style Guide or this resource for more details. * We do not discriminate against headwear worn for religious or cultural identity. If you need an accommodation for a disability to fully participate in any of these events, please contact the Center for Disability Resources at disabilities@iit.edu or 312.567.5744.